Home » Positive Psychology Articles » What is Positive Psychology & Why is It Important? If you’ve been hearing the term “positive psychology” thrown around a lot, but you’re not quite sure what it is, you’ve come to the right place! There are some common misconceptions about positive psychology, both about what it is and what it is not. 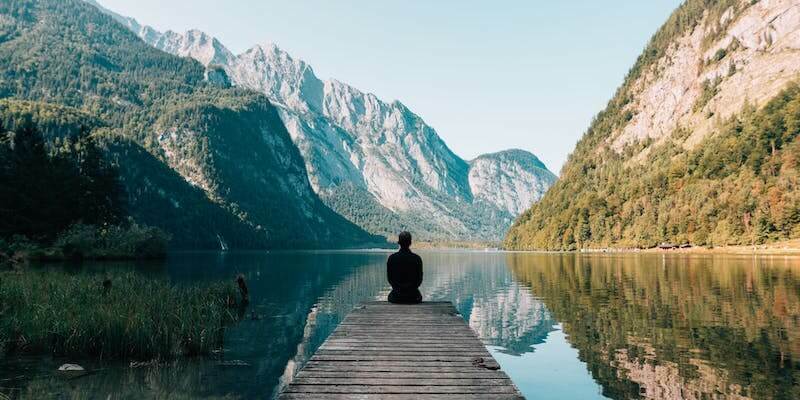 To clear up some of these misunderstandings and provide a brief but comprehensive overview of the field, we’ve put together this piece focused on defining and describing the positive psychology movement. 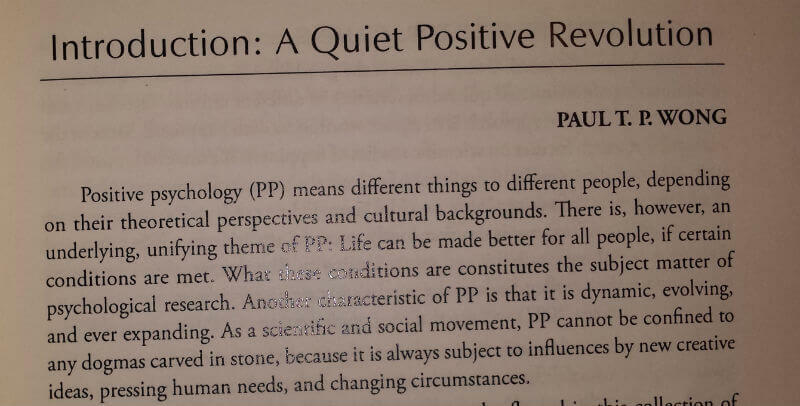 To push this brief description a bit further, positive psychology is a scientific approach to studying human thoughts, feelings, and behavior with a focus on strengths instead of weakness, building the good in life instead of repairing the bad, and taking the lives of average people up to “great” instead of focusing solely on moving those who are struggling up to “normal” (Peterson, 2008). 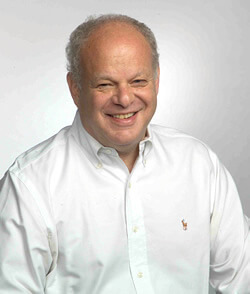 Martin Seligman is a researcher with a broad range of experience in psychology. If you had never heard of the positive psychology movement until now, you still might have heard his name at some point. Seligman’s research in the 1960s and 70s laid the foundation for the well-known psychological theory of “learned helplessness.” This theory, which has been backed by decades of research, explains how humans and animals can learn to become helpless and feel they have lost control over what happens to them. Seligman connected this phenomenon with depression, noting that many people suffering from depression feel helpless as well. His work on the subject provided inspiration, ideas, and evidence to back up many treatments for depressive symptoms, as well as strategies for preventing depression. While this is impressive enough on its own, Seligman knew that he had more to offer the psychology community and the world at large—in particular, more work on the positive, the uplifting, and the inspiring. After making a name for himself with learned helplessness, he turned his attention to other traits, characteristics, and perspectives that could be learned. He found what he was looking for in resilience and learned optimism, findings that became the groundwork for his widely administered resilience programs for children and members of the military, among others. Seligman grew frustrated with psychology’s overly narrow focus on the negative; so much attention was paid to mental illness, abnormal psychology, trauma, suffering, and pain, and relatively little attention was dedicated to happiness, well-being, exceptionalism, strengths, and flourishing. When he was elected president of the American Psychological Association in 1998, he jumped at the opportunity to alter the direction of the field from such an influential position. He proposed a new subfield of psychology with a focus on what is life-giving rather than life-depleting. The foundational paper of this new field, positive psychology, was published in 2000 by Seligman and the “founding father” of flow, Mihaly Csikszentmihalyi. Since 2000, Seligman’s call for a greater focus on the positive in life has been answered by thousands of researchers around the world, provoking tens of thousands of studies on positive phenomena and establishing a base for the application of positive principles to coaching, teaching, relationships, the workplace, and every other life domain. Since you’re reading this, you probably already know that Seligman and Csikszentmihalyi’s endeavor was wildly successful. The plethora of projects and papers on positive topics has provided an enormous repository of knowledge on how to encourage ourselves and those around us to live the best lives possible. It would be impossible to list all of the benefits of positive psychology, but we’ll try to give a comprehensive overview of some of the most impactful and influential outcomes of practicing positive psychology. 1. It teaches us the power of shifting one’s perspective. This is the focus of many techniques, exercises, and even entire programs based on positive psychology, because a relatively small change in one’s perspective can lead to astounding shifts in well-being and quality of life. Injecting a bit more optimism and gratitude into your life is a simple action that can give you a radically more positive outlook on life. Of course, no respected positive psychologist would tell you to think about, act out, and focus on ONLY the positive in life—balance is important. Positive psychology was not established to replace traditional psychology, but to complement it with a positive bias that’s just as strong as psychology’s negative bias over the last several decades. 2. People overestimate the impact of money on their happiness by quite a lot. It does have some influence, but not nearly as much as we might think, so focusing less on attaining wealth will likely make you happier (Aknin, Norton, & Dunn, 2009). 3. Spending money on experiences provides a bigger boost to happiness than spending money on material possessions (Howell & Hill, 2009). 4. Gratitude is a big contributor to happiness in life, suggesting that the more we cultivate gratitude, the happier we will be (Seligman, Steen, Park, & Peterson, 2005). 5. Oxytocin may provoke greater trust, empathy, and morality in humans, meaning that giving hugs or other shows of physical affection may give you a big boost to your overall well-being (and the well-being of others; Barraza & Zak, 2009). 6. Those who intentionally cultivate a positive mood to match the outward emotion they need to display (i.e., in emotional labor) benefit by more genuinely experiencing the positive mood. In other words, “putting on a happy face” won’t necessary make you feel happier, but putting in a little bit of effort likely will (Scott & Barnes, 2011). 7. Happiness is contagious; those with happy friends and significant others are more likely to be happy in the future (Fowler & Christakis, 2008). 8. People who perform acts of kindness towards others not only get a boost in well-being, they are also more accepted by their peers (Layous, Nelson, Oberle, Schonert-Reichl, & Lyubomirsky, 2012). 9. Volunteering time to a cause you believe in improves your well-being and life satisfaction and may even reduce symptoms of depression (Jenkinson et al., 2013). 10. Spending money on other people results in greater happiness for the giver (Dunn, Aknin, & Norton, 2008). 11. Positive emotions boost our job performance. 12. Positive emotions in the workplace are contagious, which means one positive person or team can have a ripple effect that extends through the entire organization. 13. Small, simple actions can have a big impact on our happiness, meaning that it doesn’t take much to encourage your workplace to become a happier and more positive place (Kjerulf, 2016). 14. Success! Not only does success make us happier, feeling happy and experiencing positive emotions actually increases our chances of success (Lyubomirsky, King, & Diener, 2005). However, don’t assume that refusing to brook any encroachment of negative emotions or outlooks will help you reach success. 15. An important finding from positive psychology research is that forcing people who are not naturally optimists to “just think positively” can do more harm than good; unrealistic optimism is detrimental, along with intense pessimism (del Valle & Mateos, 2008; Dillard, Midboe, & Klein, 2009). Another broad benefit of the positive psychology movement is a more well-defined idea of what “the good life” is. 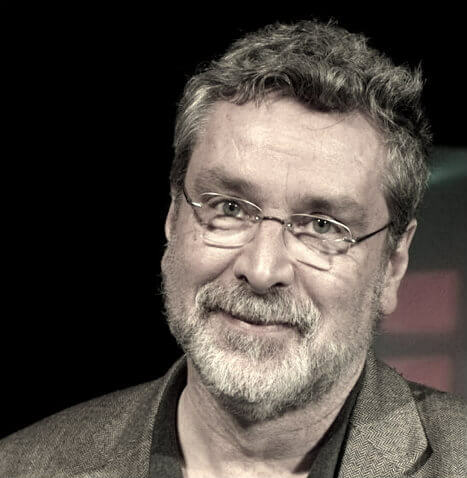 Renowned positive psychologist Roy F. Baumeister and colleagues took on the challenge of determining what makes a good life, and they found some interesting findings that you can apply to your own life (2013). Their research showed that happiness and a sense of meaning in life do not necessarily go hand-in-hand, indicating that focusing on positive emotions alone will not bring the fulfilling and satisfying life you crave. 16. The satisfaction of one’s wants and needs boost happiness, but have virtually no impact on meaningfulness; this indicates that focusing on obtaining what you want will increase your happiness, but you may have to supplement to get a deeper sense of meaning. 17. Happiness is present-oriented, rooted in the moment, while meaningfulness is more focused on the past and future and how they link to the present; this finding suggests that you can focus on the present to increase your happiness, but you might consider thinking more about your past and future to find meaning. 18. “Givers” experience more meaning, while “takers” experience more happiness; if you find yourself lacking in meaning, try giving back to others, but if you are lacking in happiness, try being accepting of others’ generosity to give yourself a boost. 19. Worry, stress, and anxiety are more likely to be felt by those whose lives are high in meaningfulness and low in happiness; this indicates that you shouldn’t get too down about experiencing negative emotions if you have a strong sense of meaning—a little negative emotion can actually be a good thing! 20. An intention to express your authentic self and a sense of strong personal identity is linked to meaning, but not to happiness; if you are searching for meaning, try working on your practice of authenticity. Findings such as these have given rise to, and are driven by, a number of interesting theories that pepper the positive psychology literature. For the most part, most people are happy. Happiness is one of the causes of the good things in life, and also promotes more happiness. Most people are pretty resilient. Happiness, character strengths, and good social relationships act as buffers against disappointments and setbacks. Work also matters in terms of making life worth living, as long as we are engaged and draw meaning and purpose from it. Money has diminishing returns on our happiness after a certain point, but we can buy some happiness by spending money on other people. Eudaimonia (well-being, deeper form of satisfaction than happiness) is more important than hedonism (sole focus on pleasure and positive emotions) for living the good life. The “heart” matters more than the “head,” meaning that things like empathy and compassion are just as important as critical thinking. Nearly all good days have three things in common: a sense of autonomy, competence, and connection to others. For an overview of some of the most salient theories and concepts in positive psychology, the website positivepsychology.org.uk offers a great “mind map” of the field here. We’ll also cover a couple of the biggest topics later in this piece. Applying positive psychology to coaching can be a tricky business, but it is undertaken with the best of intentions and care for others. To positively impact the client’s life – this goal is above all others, and all others feed indirectly into this goal. The number one goal of coaching in general is to improve the client’s life, and positive psychology coaching is no different. Increase the client’s experience of positive emotions. Help clients identify and develop their strengths and unique talents. Enhance the client’s goal-setting and goal-striving abilities. Build a sense of hope into the client’s perspective. Cultivate the client’s sense of happiness and well-being. Nurture a sense of gratitude in the client. Help the client build and maintain healthy, positive relationships with others. Encourage the client to maintain an optimistic outlook. Help the client learn to savor every positive moment (Mentor Coach, n.d.; Peppercorn, 2014). You can probably easily see why the first goal is the biggest, and basically subsumes all the other goals. Each of Goals 2 through 10 can be considered milestones on the way to Goal 1—effective techniques and objectives that help the client and coach work their way towards the client’s biggest life goals. The PERMA model is a widely recognized and influential model in positive psychology. 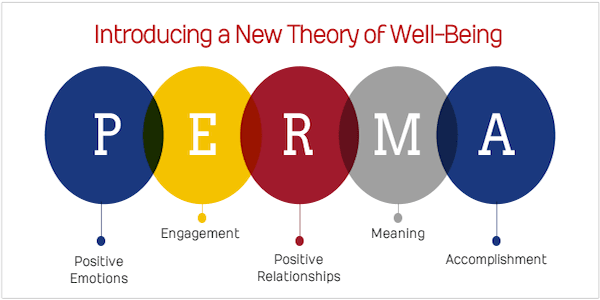 Seligman proposed this model to help explain and define well-being in greater depth. P – Positive Emotions: Even though seeking positive emotions alone is not a very effective way to boost your well-being, experiencing positive emotion is still an important factor. Part of well-being is enjoying yourself in the moment, i.e., experiencing positive emotions. E – Engagement: Having a sense of engagement, in which we may lose track of time and become completely absorbed in something we enjoy and excel at, is an important piece of well-being. It’s hard to have a developed sense of well-being if you are not truly engaged in anything you do. R – (Positive) Relationships: Humans are social creatures, and we rely on connections with others to truly flourish. Having deep, meaningful relationships with others is vital to our well-being. M – Meaning: Even someone who is deliriously happy most of the time may not have a developed sense of well-being if they do not find meaning in their life. When we dedicate ourselves to a cause or recognize something bigger than ourselves, we experience a sense of meaning that there is simply no replacement for. A – Accomplishment / Achievement: We all thrive when we are succeeding, achieving our goals, and bettering ourselves. Without a drive to accomplish and achieve, we are missing one of the puzzle pieces of authentic well-being (Seligman, 2011). Experiencing more positive emotions; do more of the things that make you happy, and bring enjoyment into your daily routine. Working on upping your engagement; pursue hobbies that interest you, develop your skills, and look for a job more suited to your passions, if necessary. Improve the quality (and/or quantity) of your relationships with others; work on building more positive and supportive relationships with your friends, family, and significant other(s). Seek out meaning; if you don’t find it through your work, look for it in volunteering opportunities, personal hobbies or leisure activities, or acting as a mentor for others. Keep your focus on achieving your goals—but don’t focus too hard; try to keep your ambition in balance with all of the other important things in life (Seligman, 2011). Each of these five aspects of the PERMA model are measurable, and each is vital for an overall sense of well-being. This model pushes past the older model of authentic happiness in its consideration of more than just happiness or positive emotions. Of course, positive emotions are important—they’re part of the PERMA model itself, after all—but focusing just on positive emotions will not help you to develop a comprehensive sense of well-being, including engagement, meaning, success, and positive relationships with others. Happiness alone will likely not propel you towards flourishing, but well-being will. Speaking of flourishing, it’s a concept we’ve touched on in this piece already, but have not yet defined. We’ve also mentioned the topic of flow, though indirectly, which is an important concept in positive psychology as well. Understanding these concepts is vital for understanding the field of positive psychology. Read on to learn more about them. Flourishing is one of the most significant concepts in positive psychology, as it encompasses and extends to so many other positive concepts. In short, “flourishing” refers to the state we are in when we pay attention to each aspect of the PERMA model and build up a solid sense of well-being. We flourish when we cultivate our talents and strengths, develop deep and meaningful relationships, feel pleasure and enjoyment, and make a meaningful contribution to the world. We flourish when we find fulfillment in life along with achieving more traditional objectives related to success when we are truly living the “good life” (Seligman, 2011). Further, Soots emphasizes that flourishing is not a trait, a characteristic, or something you “either have or don’t have;” rather, flourishing is a process that requires action. While it might be disappointing that it doesn’t come easy, it’s encouraging to know that, truly, anyone can flourish! Another well-known topic in positive psychology is that of flow. The concept of flow was first scientifically explored and defined by Mihaly Csikszentmihalyi (our second “founding father” of positive psychology). In the last few decades of the 1900s, Csikszentmihalyi noticed that many artists fell into a particular state while they were working; this state was characterized by a particularly intense focus and great concentration on the task at hand, to the point of losing track of time for hours at a time. The merging of action and awareness, or being fully present in your actions. A loss of reflective self-consciousness (lack of attention to the self). A sense of personal control or agency in the situation. A distorted sense of time passing. Experiencing the activity or situation as intrinsically rewarding (Csikszentmihalyi, 1975). Those who enter into a state of flow are totally immersed in what they’re doing. This immersion arises when the challenges of the activity in front of us are significant and roughly equal to our skill at this activity. When we have high skill and low challenge, we are bored. When we have a high challenge and low skill, we are overwhelmed. When we have low skill and low challenge, we are apathetic. It is only when both our skill and our challenges are high that we enter into a flow state. Entering into flow is not only an intrinsically rewarding and often enjoyable experience, it also seems to link to greater happiness and well-being, more academic (and, subsequently, career) success, and more positive and healthy relationships (Csikszentmihalyi & Csikszentmihalyi, 1988). To learn more about flow from the founder himself, watch Csikszentmihalyi give an outstanding TED Talk on the subject. Now, on to what the practitioners and application-minded people are really here for—how to put positive psychology into practice! Positive psychology principles and exercises can be applied in several different settings, including therapy, the classroom, the workplace, and in your own home. The use of the experience sampling method (or ESM), also referred to as a daily diary method. Before the days of smartphones, you would be given a beeper or a pager that would go off at random points during the day, alerting you to pause, notice what you were thinking, feeling, and doing in that moment, and writing it all down. This is often used in positive interventions to help people realize how much of their day is actually quite positive. The practice of keeping a gratitude journal. A gratitude journal offers individuals a method of identifying and reflecting on all of the good things in their lives—all the things they have to be grateful for. Interventions often involve prompting people to write down three things they are grateful for each day, with the only stipulation being that they need to be different each day. Within a week, many people experience a boost in well-being along with an increase in gratitude. Making a gratitude visit. A gratitude visit (or letter) is an exercise in which an individual identifies a person to whom he or she is grateful and why; once they have these in mind, they can write a letter to this person expressing and explaining their gratitude. If the person lives close enough to visit, they are encouraged to drop off the letter in person and visit with them; if not, a phone call, video chat, or simply dropping the letter in the mail can work as well. This exercise provides a significant boost to both gratitude and well-being. Focusing on building personal strengths instead of weaknesses. One of the most significant differences between many other forms of coaching and counseling and one based in positive psychology is the focus on strengths instead of weaknesses. Positive psychology is based on the idea that building on our strengths is often a more effective path to success than trying to force excellence in areas we are simply not suited for. In practice, this technique involves identifying one’s strengths and working to provide yourself with more opportunities to use them. Well-being therapy. This holistic approach to therapy is similar to cognitive behavioral therapy (CBT), but focuses on both promoting the positive and alleviating the negative in the client’s life. It is founded on Carol Ryff’s model of well-being, which recognizes six facets or factors of well-being: mastery of the environment, personal growth, purpose in life, autonomy, self-acceptance, and positive relationships (Harvard Health Publishing, 2008). Positive psychotherapy. This therapy is similar to well-being therapy, but generally packages several techniques and exercises into one treatment. Its focus is on building positive emotions, character strengths, and a sense of meaning in life. Twelve exercises are generally practiced in this form of therapy, including exercises on using your signature strengths, keeping a gratitude journal, making a gratitude visit (Harvard Health Publishing, 2008). 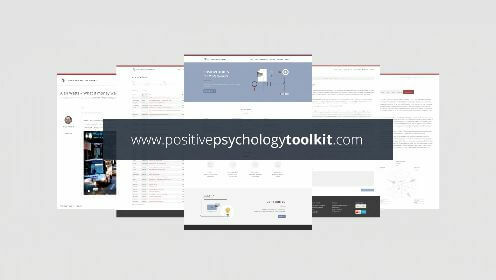 For more tools, you can use to put the exercises and techniques of positive psychology into practice, click here and check out the free eBook with 3 positive exercises. Although positive psychology has been embraced by much of the psychology community (not to mention much of society at large), there are some common critiques of the movement—many of which have some valid points. At the 2015 World Conference of Positive Psychology, some of the biggest names in positive psychology discussed a few of these criticisms. Below, we’ll outline some of the major criticisms and an evaluation of their merit in today’s field. Research findings are often invalid, overstated, and misleading. Like any other scientific field, mistakes are sometimes made. This often seems to be due to an excitement over the potential of findings in positive psychology; it can be hard to maintain objectivity when you feel a finding has both broad and deep applicability to the real world. However, this is no excuse for a lack of scientific rigor. While there is a bit more leeway in crossing your “t”s and dotting your “i”s in applied research, positive psychologists must be careful to keep their claims within reason and think critically about the limitations of their methods—there is always a limitation! Today, positive psychology has overcome some of the initial obstacles and growing pains inherent to a new field. More critical attention is being paid to the research, which gives us all more confidence in the findings. There is too much emphasis on self-report and cross-sectional survey data. This is certainly a valid point; much of the positive psychology literature is built on survey data. However, this emphasis on survey data is not exclusive to positive psychology, and positive psychology does not exclusively use surveys. Receiving feedback from those close to an individual is increasingly being utilized to corroborate or compare self-report data to, which increases confidence in data. Although positive psychology is not alone in this limitation, it is one that positive psychologists should continue to consider when planning, implementing and reviewing research. Positive psychology has a cultural and ethnocentric bias. It’s true that much of the research in positive psychology has been published by Western scholars, editors, reviewers, and journals. It is also true that positive psychology generally embraces a white, middle-class audience, in which injustice, poverty, and inequality are swept under the rug. However, this bias seems to have been much over-hyped. Recently, more research from experts in non-Western countries and from a diverse range of backgrounds is being conducted (and published). The recent establishment of the International Positive Psychology Association is one sign of this attempt at broadening the perspective of positive psychology. The field is too individualistic. Another valid point is that positive psychology focuses too much on the individual—on personal experiences, individual traits and characteristics, and intrapersonal processes and phenomena. Positive psychology does indeed seem to have an overly narrow focus on the individual and a lack of attention paid to relationships, teams, groups, organizations, and communities. Some have argued that this focus on individuals leads positive psychology to victim-blame (e.g., “If you can’t figure out how to be happy, it’s your fault”) and excuse those who are contributing to systemic issues (e.g., “It’s too hard to make corporations act ethically, so we’ll just help you make the best of it.”). Positive psychology is just a promotion of a “Pollyanna” personality type, not an authentic exploration of the good life. Of the major critiques of positive psychology, this may be one of those with the least merit. Although there is a good deal of research on “Pollyanna” types (happy, bubbly, cheerful, extroverted), that research is by no means representative of the entire field. As cited earlier, there are studies on the dark side of happiness and optimism and the benefits of thinking pessimistically. There are also myriad studies on people from all across the spectrum of personality, from quiet and successful introverts to boisterous and struggling extroverts, and on the lack of fulfillment and meaning in the lives of some of the most “bubbly” individuals. On the surface, it may seem that positive psychology is the study of the perpetually happy, but anything more than a cursory look will show you that the field is a rich exploration of all that which makes life good (and a bit of what makes it difficult as well). Some of the criticisms of the field make excellent points. Rather than struggling against these points, we should be open to considering them, thinking critically about the health of our field, and coming up with solutions for any big problems. No field is immune from criticism, nor should it be; a healthy debate and a robust peer review process is what will keep positive psychology theory from lapsing into nothing more than an edict to “be positive” and positive psychology interventions from devolving into self-help material that is based on nothing but opinions and wishful thinking. What is Positive Psychology and How Did it Come into Being? The question “what is wrong with people” has guided the thinking of many researchers and dominated countless scientific studies during the 20th century. It is hard to deny that this entails an important question. In our attempts to answer the question, we have gained more understanding of many illnesses and have developed effective treatments for a wide range of problems. However, as an inevitable consequence of our focus on the negative aspects of well-being and health, such as distress and disease, we developed an almost exclusive attention to pathology. This question is at the heart of positive psychology, which is the scientific and applied approach to uncovering people’s strengths and promoting their positive functioning. During the past 14 years, the number of scientific studies on positive psychology has increased tremendously. In addition, countless interventions have been developed to increase people’s wellbeing. We hope this article has given you a good understanding of positive psychology—what it is, what it isn’t, where it’s been, and where it’s going. Positive psychology is a field with a ton of potential for improving the lives of people around the world, and a ton of impactful findings have already been discovered. The bottom line is, if you want to keep up in the world of coaching, teaching, counseling, therapy, and a dozen other domains, make sure to keep an eye out for what’s new in positive psychology! What are your thoughts on the state of the field? Do you think there are bigger criticisms that are being ignored? Do you think the field is doing a good job at solving the problems it set out to solve? What do you think is the “next big thing” in positive psychology? Let us know in the comments! Seph has a passion for positive psychology and a background in online marketing. Positive Psychology Program allows him to work at the intersection of these fields and utilise his strengths to the fullest. Seligman, M. E. P. (2011). Flourish: A visionary new understanding of happiness and well-being. New York City, NY, US: Atria Books. I enjoyed reading this article full of helpful information. Positive psychology is very essential for in our daily life for a better productivity and surely we need it. This website define briefly about positive psychology. Provide evidences are very useful. What are your thoughts on the state of the field? Do you think there are bigger criticisms that are being ignored? Do you think the field is doing a good job at solving the problems it set out to solve? What do you think is the “next big thing” in positive psychology? Wow, you’re opening a big door here. And I’m taking the bait and stepping though it … with some thoughts triggered by your article and those questions. THOUGHT 2 – In the section titled “The 20 Benefits of Positive Psychology” you state: The greatest potential benefit of positive psychology is that it teaches us the power of shifting one’s perspective. I concur. But I would add this. Now that positive psychology has taught us the power of shifting our perspective, there remains one more thing it should teach us: HOW to shift our perspective from counterproductive to productive, on any issue at any time. So, the question is: What, exactly, is the most effective methodology for shifting one’s perspective any time one wants to (especially when one is deeply discouraged or irrationally mad as hell)? I’m waiting for the leading positive psychology professors to deliver on this one. THOUGHT 3 – You state: “Of course, no respected positive psychologist would tell you to think about, act out, and focus on ONLY the positive in life — balance is important.” This statement sounds like it derives from the “dark side”, “second wave” wing of positive psychology. It’s a confusing head-scratcher. What exactly does “balance is important” mean? Does it imply that the desired human condition is to have as much negative as positive? Or that thinking about, acting out, and focusing on negative aspects of life is a good or helpful thing to be doing? Clarity is needed here. And the clarity that’s needed is a full, correct definition of what positive thinking — a.k.a. positive attitude, positive perspective — is. As I view it, positive thinking, attitude, or perspective doesn’t mean never having an unhappy thought or unpleasant feeling or never dealing with an unwanted situation. And, it doesn’t mean ignoring or never addressing one’s unwanted thoughts, feelings, and situations. Rather, positive thinking, attitude, or perspective involves adopting the thinking, attitude, or perspective that produces the most positive outcome in any situation. So, the need for and the benefit of taking a positive approach to negative situations isn’t a “sometimes it works, sometimes it doesn’t” thing or a “some situations call for it, some situations don’t” thing. As I see it, the best approach to any situation is the approach that will produce the most positive outcome. Or, put more specifically, the best approach to any situation — including “negative” or “dark side” situations — is the approach that’s most apt to (a) increase our effectiveness in dealing with the situation, (b) increase the likelihood of resolving or mitigating any “negativity” pertaining to the situation, and/or (c) increase the likelihood of deriving benefit, learning, or positive outcome from the situation. That, in my opinion, is what a true positive approach, attitude, or perspective is. And, in light of that approach, the concept of striving for some kind of “balance” in positivity vs. negativity becomes pointless — and also counterproductive. To conclude, I maintain that the reason we have disagreement and confusion over what kind and how much positive thinking we should have — and also the reason we have the “second wave movement” — is that the leading thinkers, or the academicians, of positive psychology have thus far failed to provide a full, correct definition and explanation of what positive thinking really is, what it encompasses, and how to use it for fullest life benefit. In short, we don’t suffer from too much positive thinking, we suffer from inadequate definition of positive thinking and inadequate application of positive thinking. THOUGHT 4 – At Benefit 15 of the “Benefits of Positive Psychology” list it says “unrealistic optimism is detrimental.” I’ve read that before. It causes me puzzlement. It implies that out there in the world there are unrealistic optimists. But, when I reflect on it, I can’t think of any time in my 74 years that I’ve encountered one. In my family? No. Among neighbors, friends, co-workers? No. So, where exactly are these folks who are engaging in detrimental unrealistic optimism? Also, the concept of unrealistic optimism begs a question: Unrealistic by whose standard? Were not the aspirations of nearly every great achiever regarded as “unrealistic optimism” … up until the day the unreasonably optimistic aspirations become actuality? I also wonder, which is more detrimental in our society: People who hold unrealistic optimism or the act of telling a person they’re unrealistically optimistic? Also, how many kids are holding unrealistically optimistic dreams on a daily basis? And, which is the biggest problem: Too many kids holding “detrimentally unrealistic” dreams, or perhaps not enough kids doing it? And, should we be “wising up” those kids engaging in daily unrealistic optimism, getting them to “tone down” their unrealistic thinking to something more “real,” something that’s less optimistic and more pessimistic? Yes, I’m sure it’s possible to be unrealistically optimistic and I’m sure it’s possible that unrealistic optimism can be detrimental and I’m sure that somewhere unrealistic optimists exist, but what perplexes me is: I can’t think of any time in my life when I’ve encountered any of this. Which tends to cause me to conclude that perhaps this “detrimental unrealistic optimism” thing is more of a strawman than an actuality. That sounds logical, and I concur with it. But, I include this point. As I see it, in it’s fundamental form, the act of maximally impacting a person’s life in a positive way involves providing that person with an optimally effective achievement methodology pertaining to whatever particular life-enhancing pursuit the person has chosen to pursue. I define “achievement methodology” as: a set of actions that, when performed, bring achievement drivers into play within a certain pursuit. And, I define an “achievement driver” as: a condition or activity that, when present in a particular pursuit, makes achievement, or goal actualization, either happen or more apt to come about. (There are, by the way, many achievement drivers — explanation of which goes beyond the scope of this discussion). Fundamentally, life enhancement — a.k.a. increased life flourishment — rides on the basic universal act of actualizing desired positive situations. Or, put another way, increasing life enhancement, flourishment, or well-being is realized via the act of creating or bringing about actual situations that correspond to one’s imagined desired positive situations. And, what’s the most effective way to achieve actualization of an imagined desired positive situation? Apply an achievement methodology that’s specifically created for achieving success in that specific pursuit. By doing this, a person automatically (intentionally and non-intentionally) incorporates a maximal number of achievement drivers into the pursuit. This, in turn, results in the person realizing maximal success in the particular pursuit — or, put another way, results in the person achieving maximal actualization of their imagined desired positive situation. So, where does a person go to get an achievement methodology for any particular life-enhancing pursuit they might desire to undertake? They go nowhere. Because, as of yet, positive psychology has produced no maximally-effective achievement methodology for any achievement area or pursuit that it says people should be undertaking. Yes, a few professors have produced some interesting, informative, inspiring, helpful books on how to promote certain desirable positive situations. But, as of yet, none have created what I would recognize as a true, full-blown, fully-thought-out, fully articulated achievement methodology for any achievement area or type of life-enhancing pursuit. When positive psychology professors and/or practitioners get around to doing this, the impact of positive psychology within our world will undergo a quantum upward leap. Final question: Why have they not done it already? Two reasons. First, because most persons don’t realize that the essence of achieving life enhancement, or the essence of increasing life flourishment, is the act of actualizing imagined positive situations. They “see” everything else but they’ve not yet recognized this. Why not? Because the act of actualizing imagined situations is so universally pervasive we haven’t been recognizing it. It’s the forest we’re not seeing because of the trees all around us. The second reason we don’t yet have a specific achievement methodology for any specific area of life enhancement is because creating a true, effective achievement methodology requires a lot of thought, time, testing, and re-testing. In short, a LOT of creative mental work. In doing this I noticed many things about the field of positive psychology — most of them positive and inspiring, a few of them troubling. One of the things that troubled me was that positive psychology professors seemed to take little digs at the field of self-help and the writers of self-help literature. The professors would point out that self-help, or “pop,” psychology wasn’t grounded in rigorous scientific research like the professors’ work is. So, they would belittle self-help writers and writings as being misguided and unscientific and, thereby, “elevate” their own works as being something of superior value. It’s true that much of self-help psychology literature is scientifically unsubstantiated. But, when one takes a long view of this arena — a view extending back over the past hundred years — it becomes clear that it’s not self-help writers that deserve criticism, it’s the field of professional psychology and the academics that populated it that deserve to be snickered at and ridiculed. Why so? Here’s the situation in historical perspective. For a hundred years — a hundred years!, the entire 20th century — the profession of psychology almost totally ignored the positive side of psychology and the positive side of human existence. For a hundred years there were thousands of psychology PhD’s who spent thousands of hours and millions of dollars, and did copious research and published thousands of documents, all purportedly studying something related to the human mind and human condition. And what did they produce that was positive? Almost nothing. They contributed very little that the average person could use to expand the positive side of their life. Forget about flourishing and well-being, or elevating life to something near a +10. They didn’t even tell us how to get to +1. Sure, there were a few exceptions of professors that tried to offer a “positive approach” to psychology. But they didn’t amount to even a hundredth of one percent of total “output” of PhD psychologists in the 20th century. So, where did the foundational concepts of positive psychology come from? I’m talking about concepts such as personal life enhancement, achievement, improvement, positive attitude, perspective shifting, goals, mindset, self-esteem, persistence, overcoming adversity, hope, and so forth. Do you think it was positive psychology professors who conceived and planted these concepts within our society? Well, think again. These concepts were conceived, written about, promoted, and incorporated within our culture long before positive psychology arrived. They were planted within our collective psyche by the persons and the literature that positive psychology professors today sneeringly call unscientific self-help, or pop psychology. The core foundational concept and message of self-help philosophy is this: You — an average human being — possess the power to change your self and your life for the better. You do it by changing your thoughts and perspectives. When you change your thoughts and perspectives you change your feelings. When you change your thoughts and feelings you change your actions. When you change your thoughts, feelings, and actions you change the events, outcomes, relationships, and rewards that constitute your life. Does this not constitute the essential premise of positive psychology? To a large extent, positive psychology exists today because self-help psychology existed for 80 years before it. Today we enjoy the flowers of positive psychology. But those flowers exist because self-help writers of the 20th century planted the conceptual seeds for those flowers within our collective psyche, starting a century ago. If you want proof that this is where the conceptual foundations of positive psychology originated, just do this. Look up Napoleon Hill’s list of The 12 Riches of Life. (Napoleon Hill, by the way, was the pioneering self-help author who began publishing his findings and concepts in the 1920s.) There is much discussion today about what constitutes a flourishing life. Read Hill’s list of 12 riches of life. Then ask yourself, how far off the mark is this from what you would consider to be a flourishing life? Today, positive psychology should be recognizing and commending the bygone pioneers of self-help psychology and self-help philosophy, not deriding them. THOUGHT 7 – In the section titled “Criticism on the Movement in Perspective,” one of the criticisms is: The field is too individualistic — it focuses too much on the individual. I couldn’t disagree more. As I see it, a main weakness of positive psychology is not that it focuses on the individual too much but that it focuses too little. We have way too little focus and emphasis on creating action-oriented achievement methodologies that any individual can use for succeeding at achieving success in the life-enhancing pursuits of their choice. For example, positive psychology doesn’t even have an achievement methodology a person can use for achieving success in the pursuit of lifelong healthy-weight living. Yes, I know what you’re thinking. “Healthy-weight living? That’s weight control. That’s outside the domain of positive psychology.’’ But, if that’s what you assume, I respectfully suggest that you re-think it. Contrary to what our society presently assumes, lifelong healthy-weight living — a.k.a. lifelong weight control, or making weight loss stick — doesn’t result from dieting, exercise, and medical procedures. Rather, it derives from making weight management into an achievement process. Or, put another way, it results from incorporating achievement drivers into the process of daily managing one’s weight. And, the easiest way to do this is by the creation and application of an achievement methodology designed to bring this about when a person performs a certain set of daily actions each day. In short, the key to succeeding at lifelong weight management is to make lifelong weight management into a lifelong achievement process. And, the scientific discipline that’s best oriented and equipped to create an achievement methodology that accomplishes this is the discipline of positive psychology. I’m white. I’ve been living middle-class for the past 74 years. And now I discover that all along I’ve been sweeping injustice, poverty, and inequality under my rug. Are you telling me there are professors in the world of psychology who are actually dispensing this bunk? So it got me pondering: If I’ve been sweeping injustice, poverty, and inequality under my rug, who, exactly, are the persons who have been sweeping it on TOP of their rug? THOUGHT 9 – Of the questions you posed at the end of your blog, the most compelling are the last two: “Do you think the field is doing a good job at solving the problems it set out to solve?” and “What do you think is the ‘next big thing’ in positive psychology?” Here’s my answer to those two questions. Using that scale as the measuring device, my answer to the question “Do you think the field is doing a good job at solving the problems it set out to solve?” would be a resounding “NO.” Why do I say that? I doubt that positive psychology has yet to provide humankind with the psychological wherewithal that enables each person to elevate their life to number plus-ten on Seligman’s scale, or to a state of maximal life flourishment. So, the next two questions are: (1) Why hasn’t positive psychology not yet achieved that goal and (2) what must it do to accomplish it? As I view it, the main thing that is impeding positive psychology from achieving that goal is the same thing that is preventing it from transitioning from a movement into a science. It’s that: positive psychology is a movement without a paradigm. I define “paradigm” as: A theoretical framework containing the basic assumptions, ways of thinking, and methodology commonly accepted by members of a scientific community (derived from dictionary.com). For the past 20 years, positive psychology has been a “big bang” collage of disparate concepts with no common foundation or unifying conceptual thread tying all these disparate concepts together. Instead of evolving into a cohesive science it has become a bookshelf of disparate discoveries, theories, and self-help info. Or, to use another analogy, it has become like a toy store filled with aisle after aisle of fascinating toys, but with each of the toys having no relationship or conceptual connection to any of the other toys. To achieve the ultimate goal it set out to accomplish and also to transition from a psychological toy store into a science, the profession of positive psychology — in particular, the leading thinkers, or the professors of positive psychology — must create and apply an effective paradigm. Without a paradigm the positive psychology movement will eventually undergo dissolution. With an effective paradigm it will transform from being a movement into being a science, and it will eventually achieve its ultimate goal of equipping humankind with the psychological wherewithal that enables each individual to achieve maximal life flourishment, or achieve plus-ten on Seligman’s scale. There are numerous forms a paradigm for positive psychology could take. For example, I’ve put my own thoughts on the subject to paper and published it as a book. (Explaining it here goes beyond the scope of this discussion.) But, ultimately, the leading thinkers of the positive psychology movement should make it a top priority to discover, create, and apply the most effective paradigm possible. The stronger and more complete the paradigm is, the more quickly the positive psychology movement will become a science and the more effective the Science of Positive Psychology will be in achieving its ultimate goal. THOUGHT 10 – I predict that the most powerful outcome of this future paradigm for positive psychology will be (a) positive psychology professors will identify and elucidate a panoply of achievement drivers that will become the building blocks humankind will use for increasing individual life enhancement and (b) positive psychology professors and practitioners will create at least one effective achievement methodology for each of the many areas, or possible pursuits, that humankind uses for achieving expanded personal life flourishment. Finally, I predict that one of the most popular and beneficial of those achievement methodologies will be one that enables any person who applies it to easily achieve lifelong healthy-weight living. Yes, I know you’re shaking your head and mumbling “no way this will happen.” But if positive psychology adopts the right, or most effective, paradigm it WILL happen … and it will happen soon. And when it happens, the overweightness problem — one of humankind’s biggest, fastest growing, most costly, most entrenched problems of the past 40 years — will become a “problem of the past.” And, positive psychology — in particular, the leading thinkers and leading institutions in positive psychology — will reap the credit and the rewards for creating the means by which the problem was solved. When all this happens, it will then be acknowledged — by both the positive psychology profession and the world-at-large — that positive psychology finally resolved the problems and achieved the ultimate goal it initially set out to accomplish. Thank you Courtney Ackerman for your positive soul, I am from Iraq. 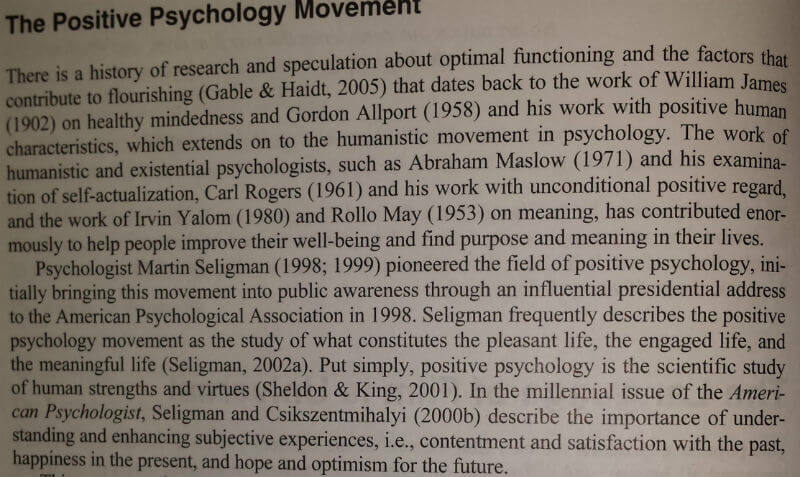 In the paragraph on Marty is a typo: “Seligman grew frustrated with POSITIVE psychology’s overly narrow focus on the negative” You probably mean just psychology, right? 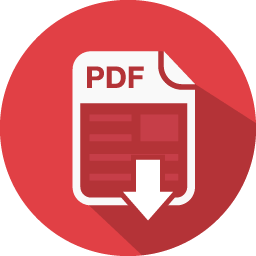 You could also include a short paragraph on PP2.0 and Tim Lomas or Paul TP Wong`s solution of the criticisms. I like Wong`s idea that psychology was a thesis, positive psychology the antithesis and second wave PP the synthesis of both. I am from Calgary too and my kids are attend CCS. Great article! I am looking forward to sharing it with my Grade 10 Psychology class here in Calgary, Alberta, Canada. Bless you, Courtney. Carol Holmes, Teacher at Bearspaw Christian School. I’m from Mexico, my language is Spanish, nevertheless, reading carefully, I can keep in mind your ideas, it seems to me very value, congratulations!